So what are they exactly? 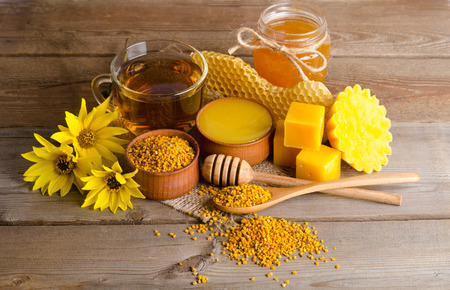 How does honey benefit the skin, and why is it a popular alternative cleanser? One of the reasons is that honey is naturally antibacterial, which makes it valuable for people dealing with skin issues like acne. In fact, honey was used as a naturally antimicrobial wound packing during WWI and the Civil War because it, when in contact with the wound, converts to hydrogen peroxide. It also helps to speed up wound healing and tissue regeneration which, once again, makes it very valuable from a skincare perspective. Another reason raw honey makes a great facial cleanser is that it contains lots of naturally occurring enzymes that gently remove dead skin cells from the top of the skin. In essence, this makes raw honey a natural, effective and very gentle enzymatic exfoliating agent. This is fantastic for people with very sensitive skin because, while they may experience even mild irritation from other exfoliating products, they won’t from the honey. Thus, they can reap the benefits of regular exfoliation without the downside of potential dermal irritation. Honey is also hydrating to the skin. This is due to two things. One: honey contains lots of anti aging polysaccharides that contribute to juicy cellular hydration. And two: honey is humectant, meaning it attracts water to itself and then holds onto it. This is good news for your skin- especially if you live in a dry climate or just generally experience skin that struggles to stay hydrated. In a nutshell, more and more people are switching over to high quality raw honey for their skincare because they find it helps with their acne, is hydrating and softens their skin. It doesn’t strip their natural acid mantle like soap, it’s economical and totally natural.